One of the "side effects" of the Fed's monetary expansion is all the capital flowing into spread products, particularly corporate credit. 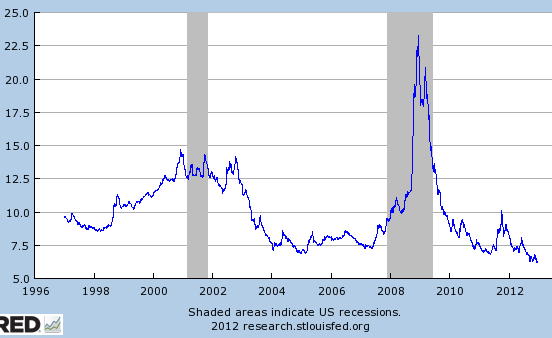 Corporate bond yields are hitting record lows across the ratings spectrum. 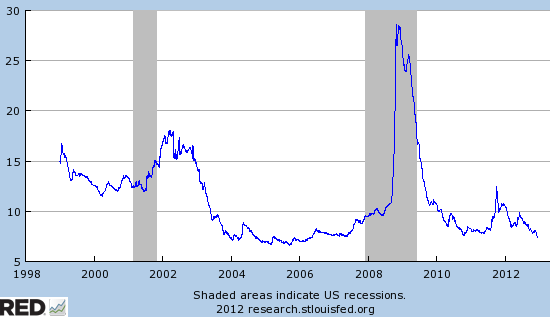 An average junk bond in the Merrill HY index now yields some 6.3%. Even emerging markets corporate HY bond yields are near all-time lows. 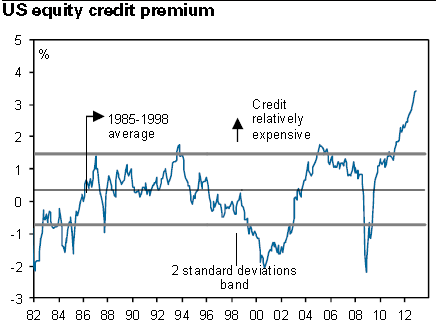 In fact credit looks highly overpriced relative to US equities. And equities are not exactly cheap at this stage, particularly given some 2% GDP growth expectations in the US. Goldman's relative value model now shows corporate credit at the richest levels in at least three decades.